The University of Tennessee’s losing streak continued Wednesday night in embarrassing fashion, as they were defeated 92-82 by Louisiana State University. It was LSU’s first SEC home win this year, and ended their 15-game consecutive conference losing streak. The Volunteers not only dropped their third straight, but sixth in the last eight games. A team that was once thought to be in contention for an NCAA Tournament at-large bid is now only 7-10 in the SEC, and is 15-15 overall. They need a win against Alabama Saturday to avoid having a losing regular season record going into the SEC Tournament in Nashville next week. UT actually played a strong first half. Even though they allowed LSU to shoot over 50 percent, they also had a solid shooting performance, and were ahead 46-42 at halftime. They had 10 assists and were doing a reasonably good job of offensive production and ball distribution. Then everything fell apart over the final 20 minutes. Tennessee got only nine field goals in the second half, with just two assists. LSU ran off an 11-0 spurt early, and then things spiraled. They outscored UT 50-36, led by Brandon Sampson’s 16 and Jalyn Patterson’s 12. Sampson finished the game with 24 points and Patterson with 22. Tennessee’s leading scorer Robert Hubbs was only four for 13 from the floor, ending with only eight points. 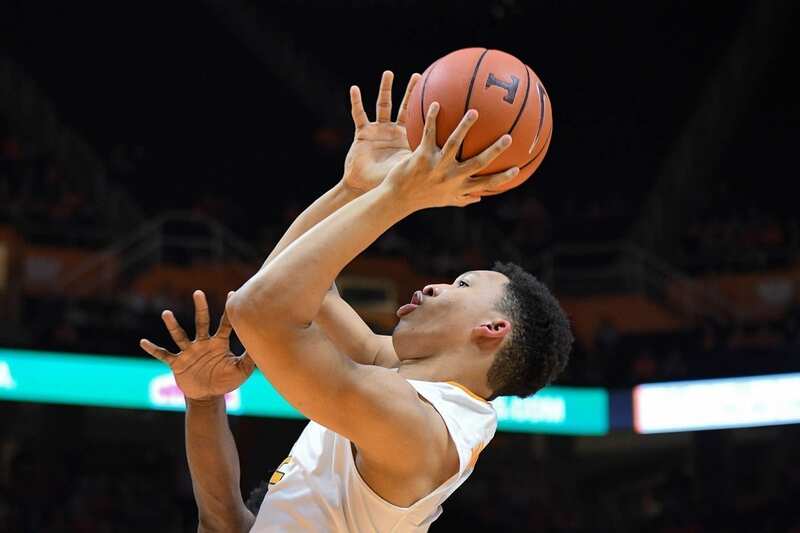 Tennessee got 16 from Grant Williams and Shembari Phillips, and 14 from Lamonte Turner, but for long stretches in the second half weren’t able to find anyone able to score against the team widely considered the SEC’s worse. The Tigers victory made their conference mark 2-15 (10-19 overall). They will most likely be playing in the first round of the SEC Tournament against Auburn. Auburn also lost Wednesday night, something that at least keeps Tennessee from having to play in the opening game of the tournament. But given how poorly they’ve looked the last few games, prospects for their advancing very far don’t look promising. Next articleThe Tennessee Tribune’s 25th Anniversary Celebration Magazine now available!